This still was featured in the publicity for THE STRANGE CASE OF DR RX (1942) but it had nothing to do with the actual film. Following the B-Movie’s Film School, I have been on the hunt for further examples of genuine second features (rather than those films that embody the ‘spirit of the Bs’). As part of my search, I reached far into the depths of the archive here at Dirk Towers to find probably the most important book in the entire collection. A Pictorial History of Horror by Denis Gifford was a treasured item for many children of the seventies, and it’s special as it was the first book about films that really fired up my young imagination. It isn’t a children’s book, but it was a coveted item amongst my school friends, as it was filled to the brim with chilling pictures that are guaranteed to give primary school kids a month of nightmares. 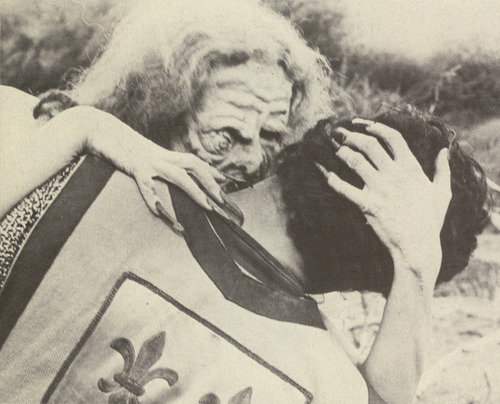 It’s a wonderfully compiled compendium of stills depicting the history of the horror film, from the very early days to the more contemporary Hammer pictures. I would spend endless days flicking through these pages with my school friends, trying to work out the stories behind the films. I loved the characters from Universal horror films and would stay up most nights making models of the The Wolfman, Frankenstein’s Monster and The Hunchback of Notre Dame, with optional glow-in-the-dark head and hands. It feels very old now – it smells musty from being stored in the shed for many years, some of the images were plundered for a secondary school project (mainly King Kong stills), the dust-jacket is long gone leaving the red cover and gold emboss on the spine looking tatty and written in biro, on the front, in my best joined-up writing it says ‘Horror Movies!’ – looking through it now is a time-machine that sends me to hurling back to being 9 years old. Gifford was known for his contribution to comics and he was my favourite author thanks to his Stewpot’s Fun Book – a Look-In special featuring parodies of Dr Who, The New Avengers, and The Six Million Dollar Man – and his Morecambe and Wise paperbacks – with a great Star Wars parody featuring Eric as C3 PO and Ernie sitting in a bin as R2D2. It was probably the Gifford connection that convinced my parents that my young, impressionable mind was in safe-hands, despite it featuring a picture of a woman with an axe sticking out of her head. I remember the day we bought it very clearly. Mum and Dad had been given some good news so they let me have a treat from WH Smith in Bolton. There’s a chapter on B movies in which Gifford follows the careers of Karloff and Lugosi following the impact of the studio’s desire that every feature to have a double bill. They were established star names in the horror genre but the demand for the b’s demoted the status of horror and the studios began to rely on formulas. 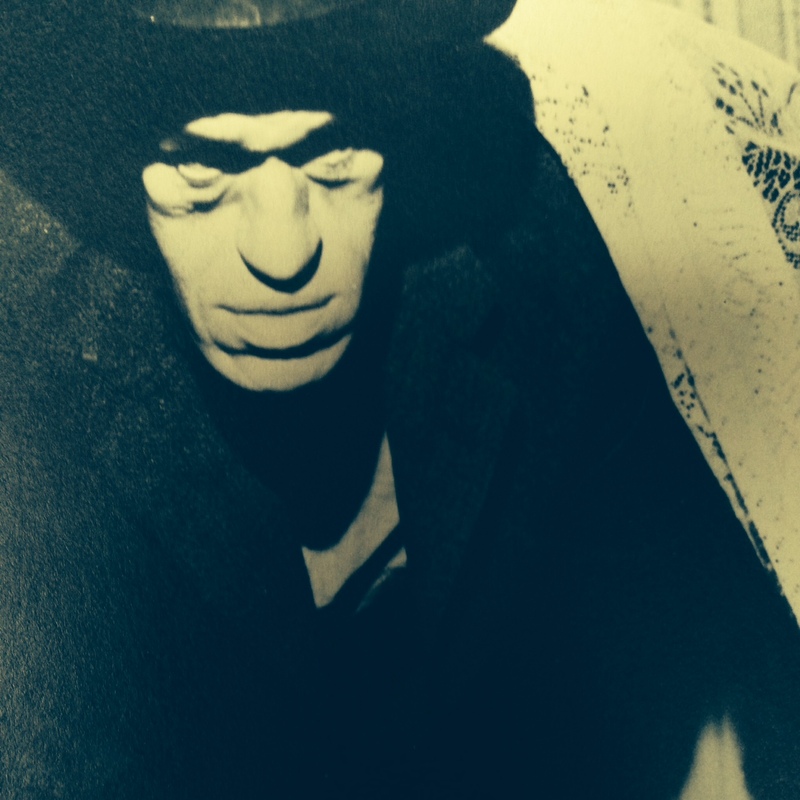 Karloff was fiercely protective of his status and resisted by having his standards: he would appear in Monogram films but not the more low-status Producers Releasing Corporation. For many years he appeared as a mad doctor in a series of films: THE WALKING DEAD (1936) THE MAN WITH NINE LIVES (1940) THE DEVIL COMMANDS (1941) THE BOOGIE MAN WILL GET YOU (1942) (teamed up with Peter Lorre) amongst others. It has been remarkable dusting off this book as I have little moments of lost memories revived by some of the images. 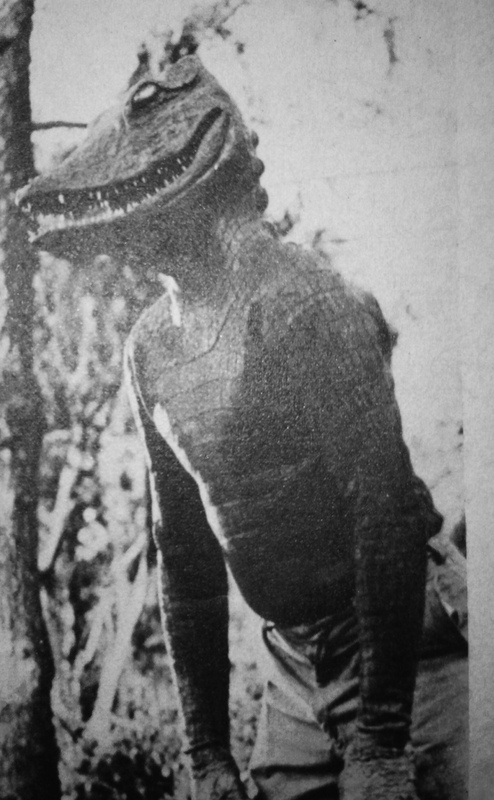 I once wrote a story about a school trip going horribly wrong because the gardener at the Halls were we were staying was an alligator man: at night he would terrorise us in his chinos. 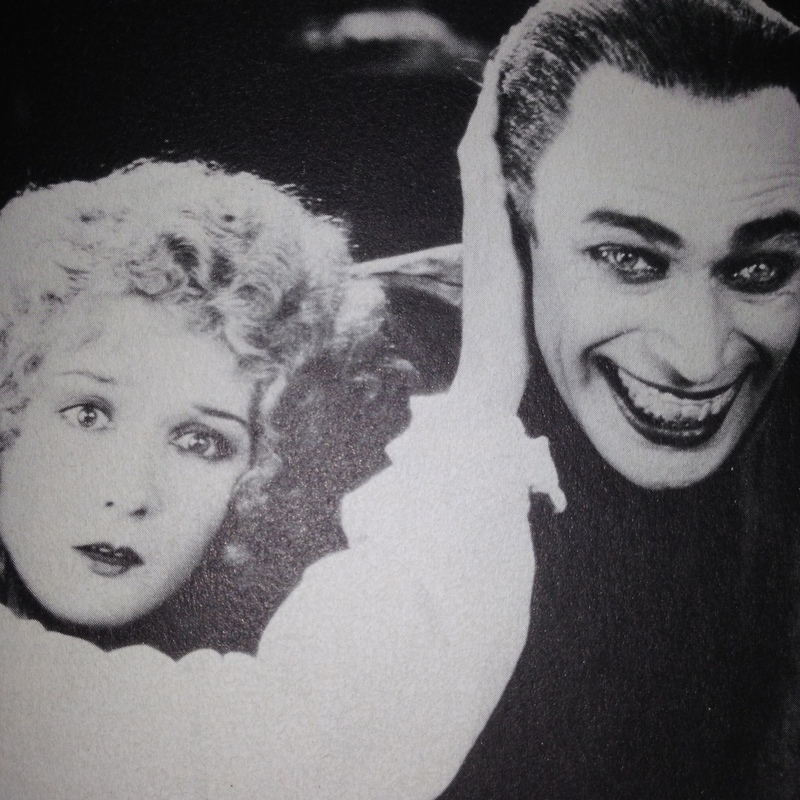 I had reoccurring nightmares about a page of images of characters with fixed grins – Conrad Veidt in THE MAN WHO LAUGHS (1928) in particular, gave me the heebie-jeebies, so much so, it looks like these pages have been stuck together with tape to avoid looking at them by accident. I’ve put the book away, back in its position on the shelves, ready for it to be opened again at some future date, ready for the horrors of my childhood to be reawakened. ← Dirk’s Five: Bueller? Bueller? Anybody? Anybody? This is the one with the skellington on the front right? Dom gave me a copy ages ago, I will have to dig it out from the archives, if only to learn more about the alligator people. I can’t see the image. 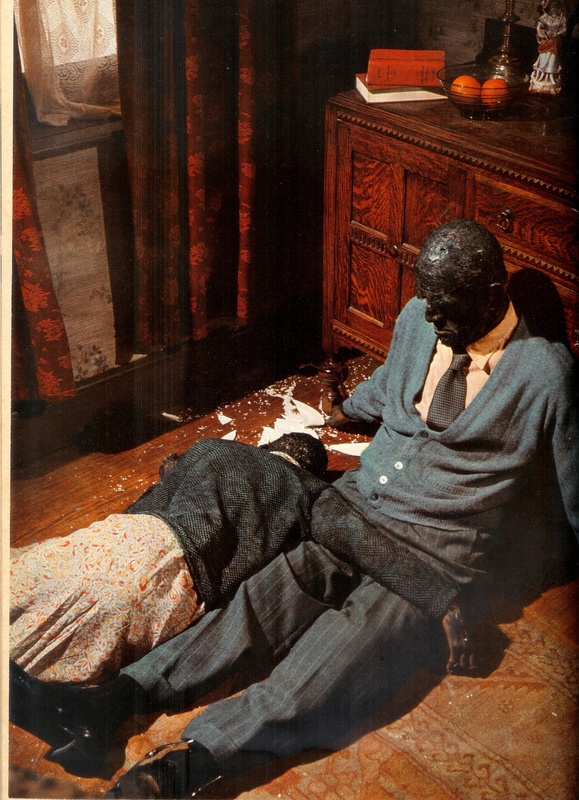 The original dust jacket had a montage effect with a tint of green and yellow. It’s one of those books that if you look for it, you’ll find it.